Hectic day? Kick up your heels and treat yourself to a soak in the tub with this wild blend of mineral-rich sea salt, Himalayan pink salt, Jack pine and wild field mint. Each pouch contains enough product for 2-3 baths. The wildcrafted plants in this delightful pouch support relaxation, and soothe sore muscles. Mineral-rich salts detoxify and cleanse. Hand crafted with wild ingredients from Canada’s northern wilderness! Alternatively use this relaxing blend as a foot soak. 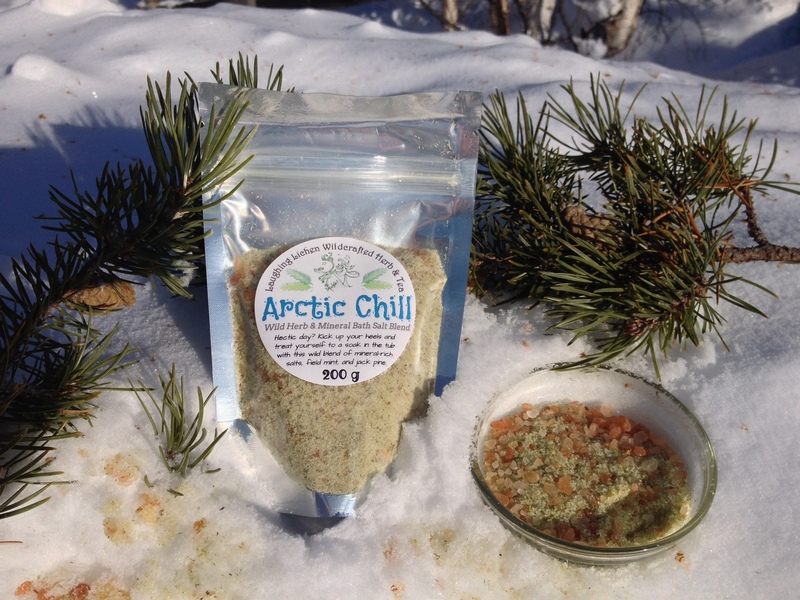 I love the Arctic Chilld bath salt; it smells fantastic and makes for a soothing soak. I wish it came in larger quantities!